Frankly, Cora, I expected more of you. With your over-the-top fruit plates and endless variety of lavishly done waffles and pancakes, I fully expected that you would similarly pull out all the stops when it came to coffee. 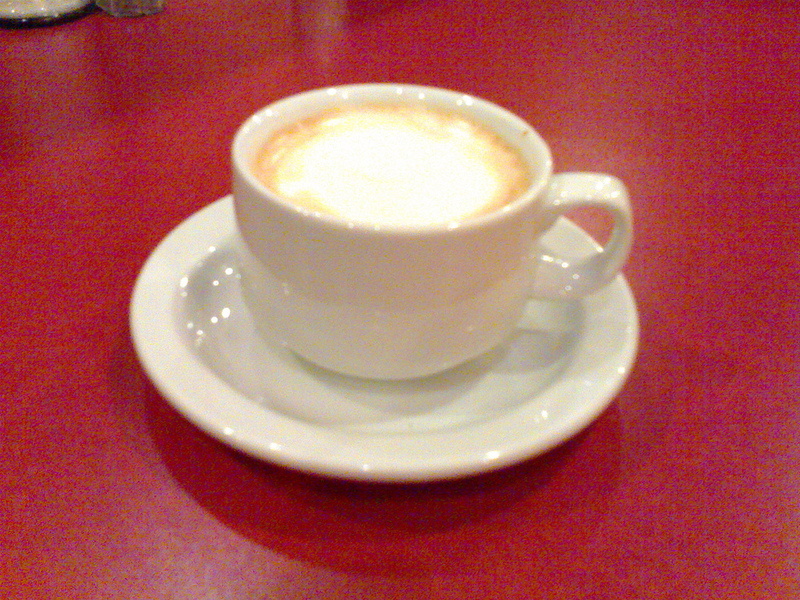 I’ve a feeling that I could get a better cappuccino in an Irving Big Stop. Charging more than $2.50 for this luke-warm, tasteless coffee-substitute is criminal. You should be ashamed of yourself. Written December 17, 2006 at 7:49 a.m.